The jumbled memories of the life and loves of a Cuban cigar roller: the third novel (The Return of Felix Nogara, 2000, etc.) from Medina, Cuban exile, poet, and professor. Amadeo Terra, a stroke victim, lies immobilized in a Tampa, Florida, nursing home. He can’t speak, but his mind is active and his memories intact (“His memory is his God”). Amadeo, born in 19th-century Cuba, had a father with a violent temper (inherited by Amadeo) who was best avoided. 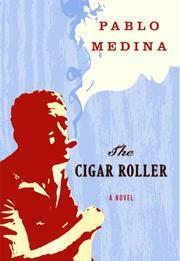 When he was 12, Amadeo started work in a cigar factory and rose from stripper to sorter to roller. Pride in his craft is the bedrock of his identity (“only tobacco brought happiness”). But the Spanish authorities had him under surveillance, so, before the War of ’95, Amadeo left for Tampa with his wife, Julia, and their three young sons. There followed a violent family tragedy involving the youngest, Albertico. This is one door to the past that Amadeo keeps closed. The result is that we don’t learn until the end, when we’re almost past caring, what terrible thing Amadeo did. We’ve had ample warning, however, that this is not a nice guy. He married young, in Havana, but Julia soon bored him. He forced himself on a 14-year-old girl for several months until Julia showed up, gun in hand. Much later, in Tampa, he took a mistress but abandoned her in a rage, believing worthless rumors that she was cheating. He has been a poor parent to his two surviving sons: No wonder they’ve stopped visiting him. For a man who “never thought twice about satisfying his urges,” there’s precious little left: The last sensory pleasure is the taste of mango, which he is spoon-fed. He speculates, briefly, on his existential condition, but Medina, though a fairly good writer, lacks the intensity of a Beckett. A surprisingly superficial life story: More about the family and mistress and less about the drooling body in the bed would have been welcome.